In this article, we will talk about the advantages and disadvantages of the different types of vacuum cleaners for home that are available in the market. 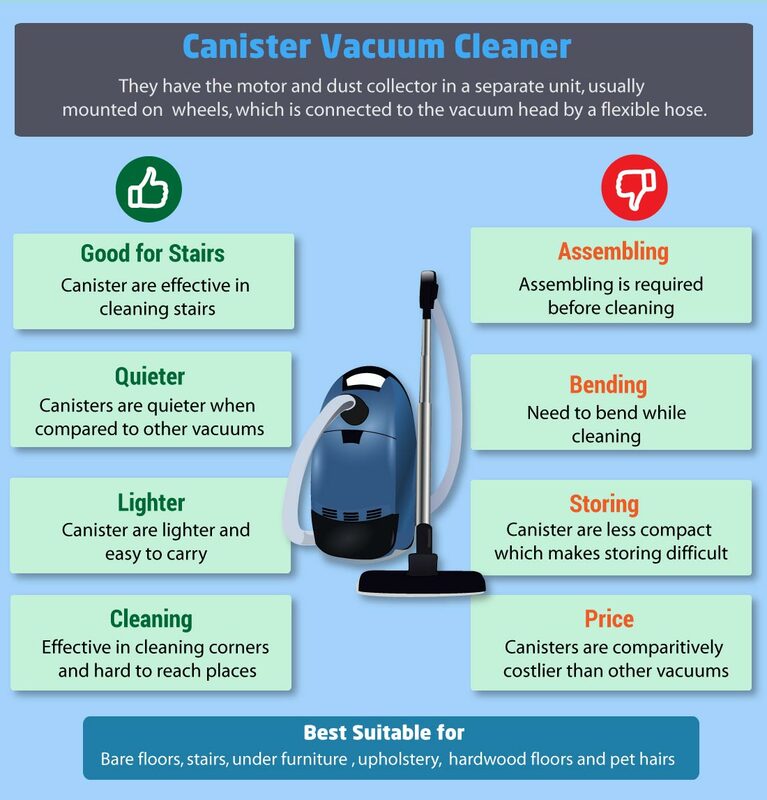 This will help you determine if the current vacuum cleaner you have is the right one for you or if you need to swap it for a new one that is the right match for you living space. We will start with the upright vacuum cleaner type. This type is the best kind for those homes that has wall to wall carpet installed in them. It cleans very deep and cleans a bigger portion of the area than others. The bad side of this type of vacuum cleaners for home is that it is bulky, very heavy, and loud. 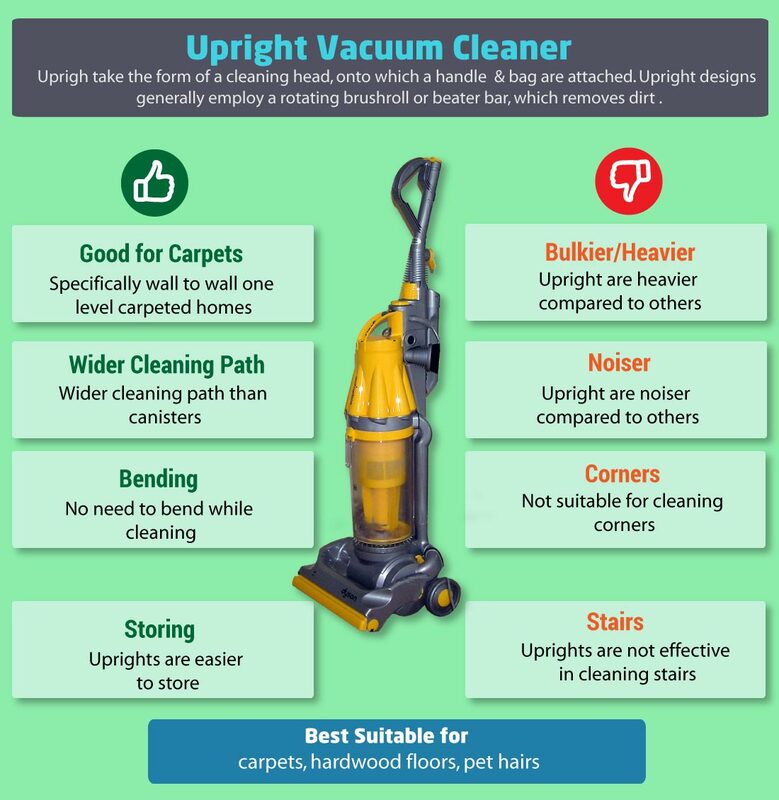 A canister vacuum is best for a home that has tile or bare floors, perfect vacuum cleaner for stairs and the head of this vacuum has a low profile that it would fit under pieces of furniture easily. Some canisters can perform as good as the upright on carpets as well. It is easier to maneuver and is not as loud as the upright one. Disadvantages of this type are that it is bulkier than the upright, the separate power source and the cord take up a lot of space in your storage area. Let us move on to the stick vacuum cleaners for home. 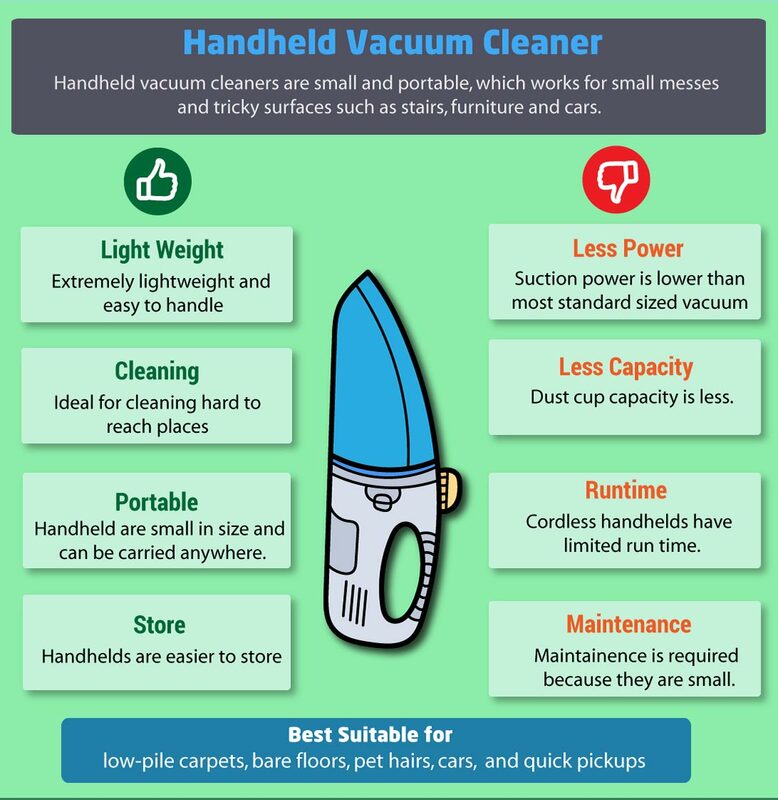 They are a smaller version of the upright vacuums and are usually battery operated which makes them easy to lug around in your house while cleaning. It picks- up surface dirt very easily but does not clean carpets well. I find that most of these suckers (pun intended) are noisy and cannot be considered as a replacement for your full powered ones. Hand-held vacuum cleaners for home are perfect for pet hairs, although not all can handle that but the good ones do. 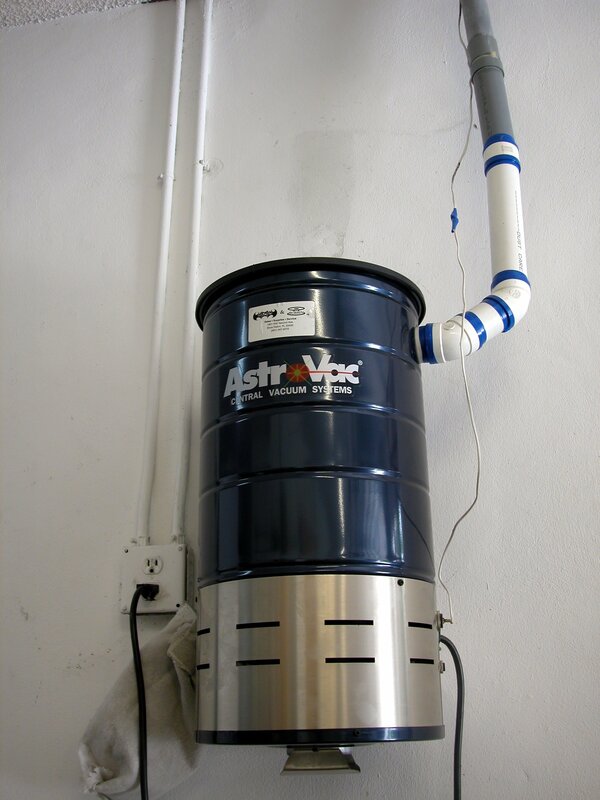 This type of vacuum cleaner home is meant for bare floors and other types of surface cleaning. It’s also useful for when you are cleaning your car interiors because of its small size and lightweight feature but they do not perform as good as the upright or canister ones and cannot clean pile carpets well. 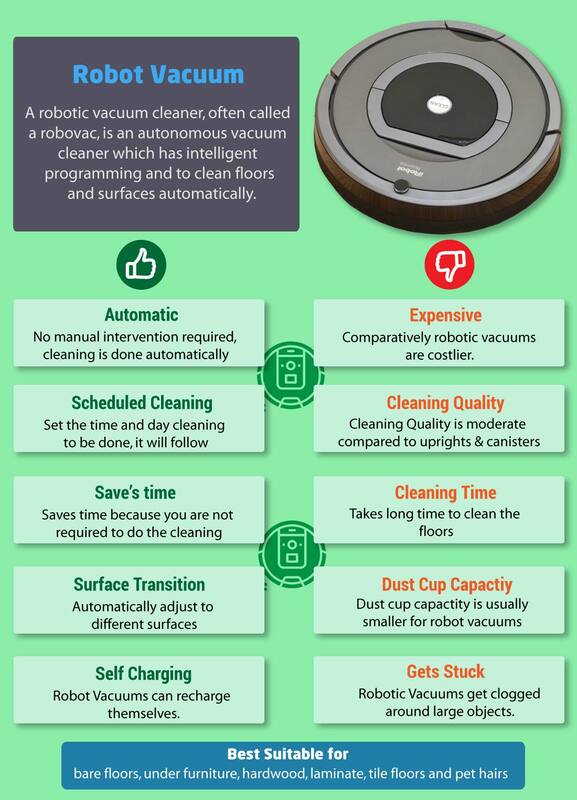 Robot vacuum cleaners are perfect for those people are always on the go since all you need to do is to turn it on and it will clean your hardwood floors and pet hair by itself. It has a low profile which allows it to clean under pieces of furniture and has sensors that allow it to move around the house smoothly without scratching your furniture. This robotic vacuum cleaner is perfect for smooth surfaces but cannot beat the cleaning power the upright and canister ones deliver especially on those thick carpets. There is another type of vacuum cleaners for home that you can consider but this one can be mostly found in big establishments and they are the central vacuum cleaners. They come with a 30-foot hose that you will need to store somewhere and is very pricey. They are quieter than most and cleans very efficiently. That’s it. 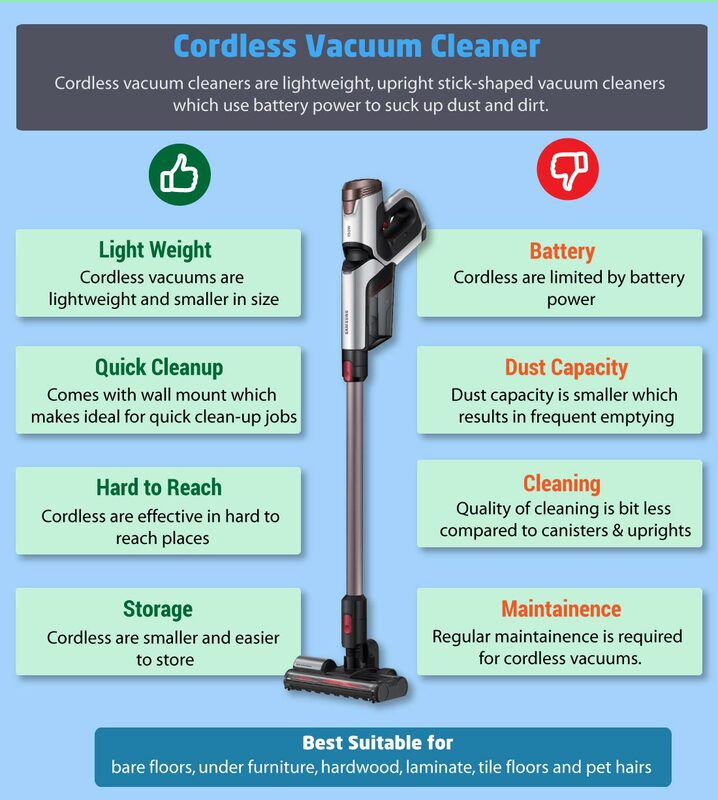 All you have to do now is look at the pros and cons of each type so that you can easily determine which type of vacuum cleaner will be best suited for your home.